Millennial obsession with technology advancements in terms of inventions and innovations has allowed us to see the world more clearly. Findings of possible human existence in other planets have been brought to us through latest technological discoveries. The moment a new thing is in view, myriads of mind start announcing the next step to take it a little further. A generation found betwixt two, trying to balance the past and the future but unfortunately losing the fight to the present and modern world; Behold the age of the millennials. Yes, technology has been appraised for those positive roles it has played thus far as well as the pending ones but thanks to the wrong effects it has brought also; the luxury with much more laziness, the web though as a source of information, communication and learning but much more reckoned with now as a kind of addiction. Though the song has been sung of how technology has really made life easy but man, especially in the millennial age has become overly reliant on it. Gone are those times when our selfies were finely painted portraits made with crayons. The millennial generation is people that were born between the early 1980s and 2000s. These set of people tend to commit a substantial measure of energy and time into upgrading their personality. In terms of effort and concentration, they tend to share a great deal of themselves concentrating on materialistic values which have permitted them to be politically disengaged and societally disconnected as reported in a journal of personality and social psychology. Unlike other times, the millennials don’t really give a thought to community-based relationships that formed the core values of past generations who enhanced their structure by building networks with the religious group as well as their neighbors. It was observed recently the way technological use affect the human brain, especially the parts of the brain which informs personality, including greetings, mood, and speech. The frontal lobe which controls a person’s thinking, personality and attitude weaken due to excessive use of technology. Likewise, the parietal lobe concerned with language interpretation also shrinks under heavy use of technology and thus making it even tougher for the brain to process the information it receives. Hence, obsessive usage of technology affects how individuals may interact with one another. 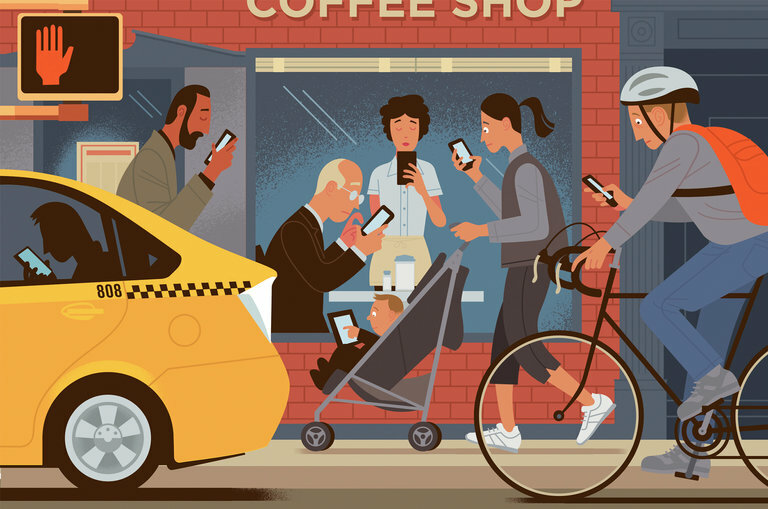 The millennial generation may serve in a neutral position in this modern environment empowered with the ability to mediate the pressure forming between the past and future generations but only if it decides to approve a lower technological obsessed world.